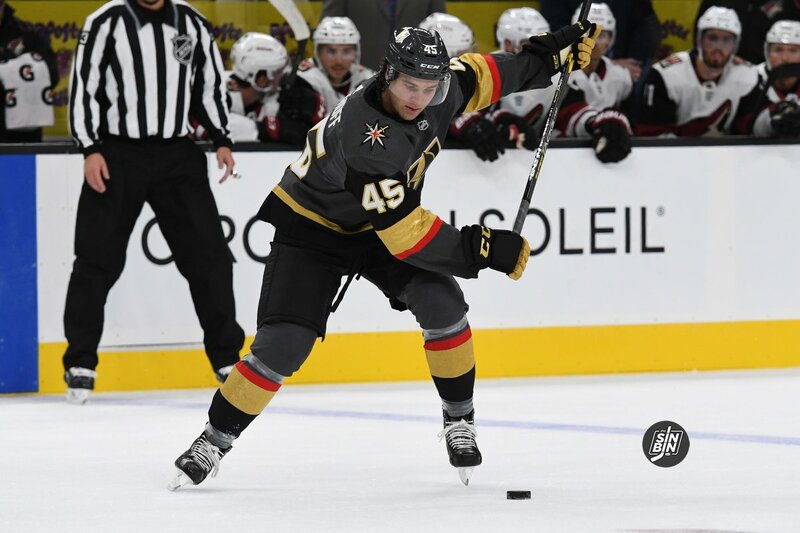 A major part of this season for the Golden Knights has been battling through injuries and the suspension of Nate Schmidt. With just one game left on the schedule, Vegas has played just 26 of the 81 games (32%) with their top-six forwards and top-four defensemen intact. 12 of those games have come since the trade deadline when Mark Stone was acquired and the Golden Knights have won 10 of those 12 games. Prior to the deadline, Vegas was healthy for just 14 of the first 63 games (22%). By healthy, I mean not missing any of William Karlsson, Jonathan Marchessault, Reilly Smith, Paul Stastny, Max Pacioretty, Alex Tuch (or Erik Haula), Nate Schmidt, Brayden McMabb, Deryk Engelland, and Shea Theodore. 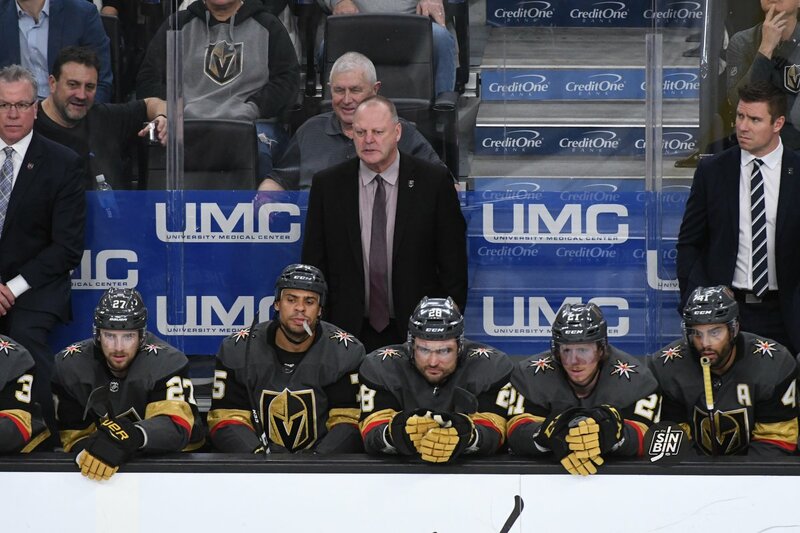 In those 14 games, the Golden Knights won just five. They’ve played 48 of the 81 games without a top-six foward, and have won 26 of them. They’ve been without at least one of their four primary centers 38 times and won 19 of them. And they’ve been missing a top-four defenseman nine times and won four. They have a winning record when missing at least one top-six forward and are above a point per game when missing either a center or a top-four defenseman. 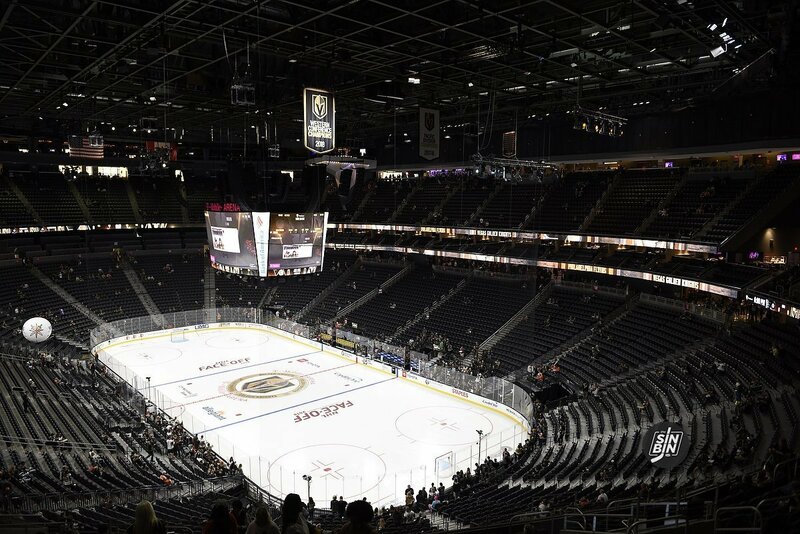 Looking at the roster, the Golden Knights appear to be fairly deep. Lose a top-six forward, you can plug in Brandon Pirri, Tomas Nosek, or hopefully Erik Haula. Lose a top-four D and Nick Holden, Colin Miller, or Jon Merrill can take the place. Go without a center and Tomas Nosek or Ryan Carpenter can fill the void. This is all good news heading into the postseason, where injuries will inevitably happen. As of right now, with just one game left to play, the Golden Knights are about as healthy as a hockey team can be. Since getting Stone, that’s meant nothing but winning, hopefully, it continues starting next week. It’s been inevitable for a while, but now it’s really inevitable, we’re going to see another Vegas/San Jose postseason series. With four games to go, Vegas and San Jose are locked into 2nd and 3rd with the Sharks desperately trying to hang on to home ice advantage. 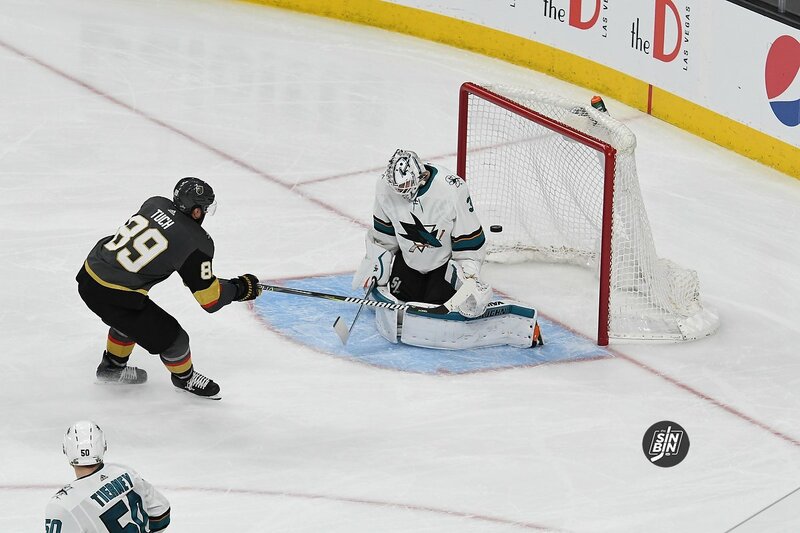 The only thing up for grabs now is the location of the first (and more importantly the seventh) game of the series between the Golden Knights and the Sharks set to begin on April 10th or 11th. If we could poll both fan bases, one would feel much more confident in their team advancing. Even though both clubs have struggled down the stretch. Vegas fans are hoping they see the Sharks, not the same feeling from Bay Area fans. There’s a bit of a lopsided history between the two clubs. 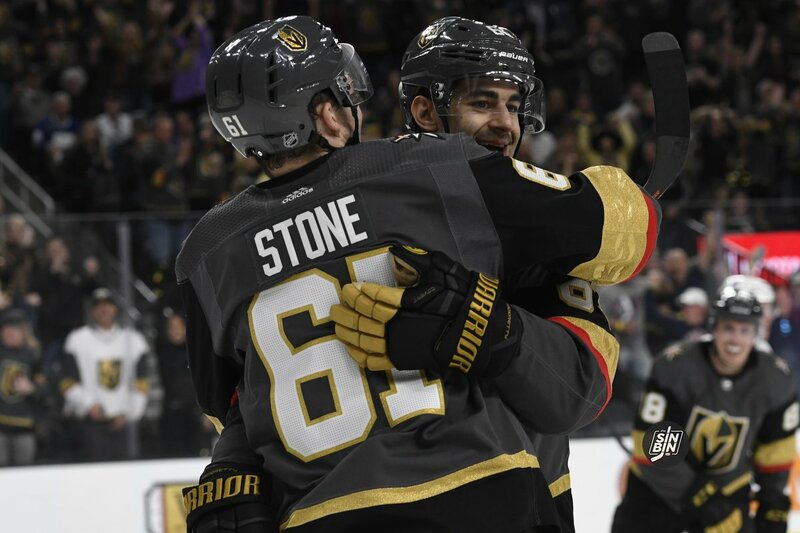 In their thirteen game history, the Golden Knights are 9-2-2 averaging 3.8 goals per game. 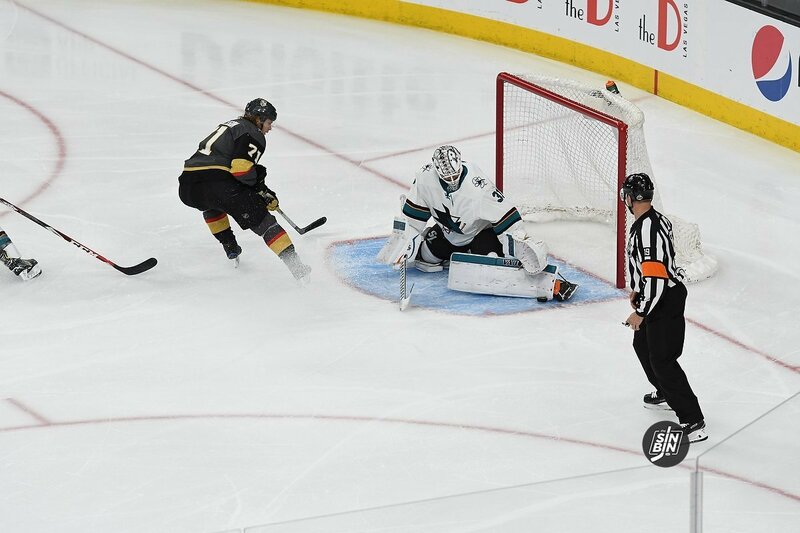 Vegas scored a total of 48 goals, +20 in goal differential and chased goaltender Martin Jones four times. 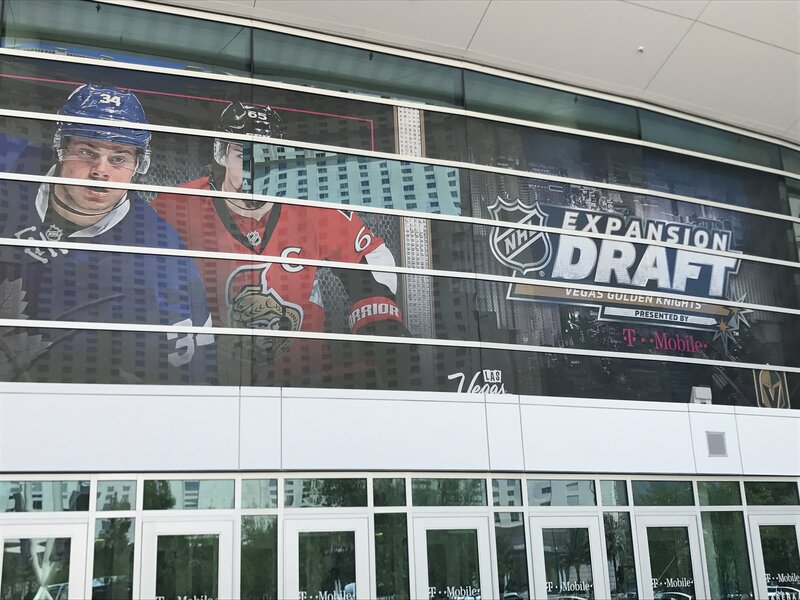 Throughout the brief history, the Golden Knights have never shown a fear of mixing up the roster. Whether it’s shipping a guy back to Russia, the multiple trades involving Tobias Lindberg, utilizing waivers, dealing with contract situations, or something else, George McPhee’s roster always seems to have a storyline. However, up until late January of the second season, there was a fairly hard and fast rule the GM liked to follow, and that was always rostering eight defensemen on the NHL squad. Since giving away trading Brad Hunt the Golden Knights have had just seven blueliners with all seven being in the rotation. This is all fine and well if the team is healthy. Nick Holden, Jon Merrill, or Colin Miller are all terrific options and not many teams have a defenseman sitting in the press box on a nightly basis as good as any of those three. But, it’s the depth behind them that should be a bit of cause for concern. 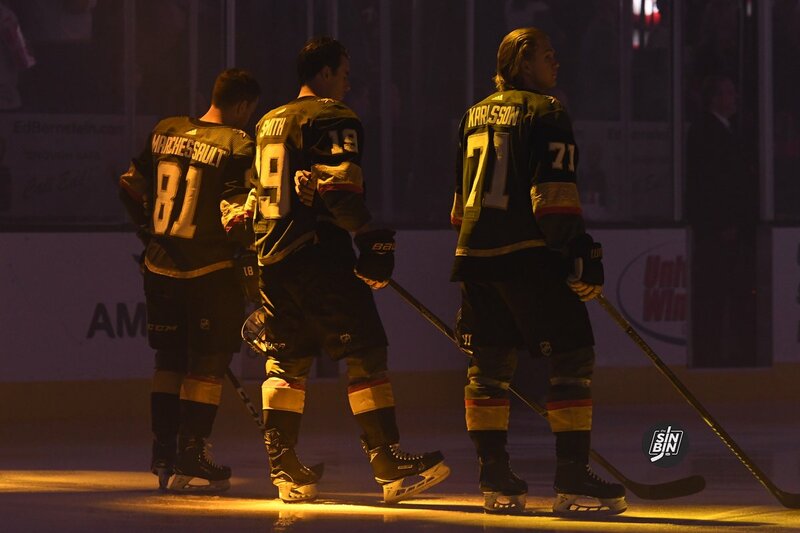 As of right now, and this isn’t going to change, the Golden Knights eighth defenseman is either Zach Whitecloud, Jake Bischoff, or Nic Hague. Between the three of them, there’s a total of one game of NHL experience. 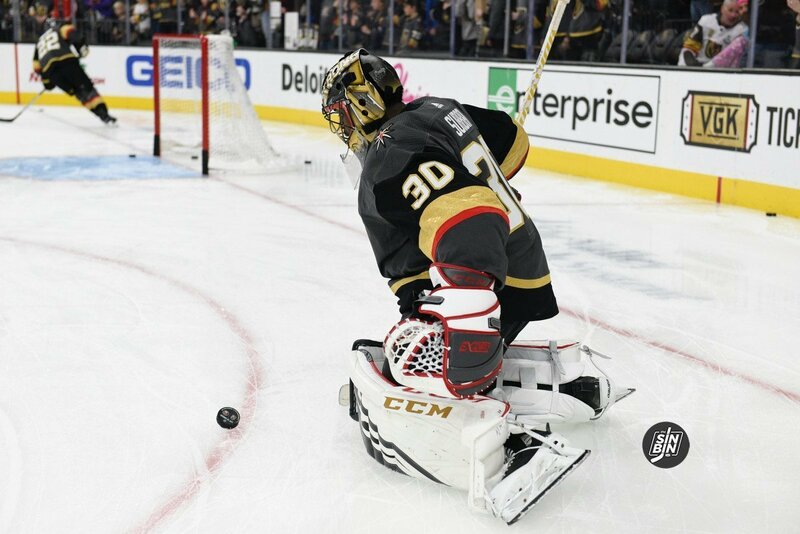 That game belongs to Whitecloud, who played the most meaningless NHL game possible, the final game of the year when the Golden Knights literally had nothing to play for. Last year, only two of the 16 playoff teams used more than seven defensemen during their postseason runs. Both of those two happened to be Golden Knights opponents though: the Kings and the Jets. Only the Lightning, Leafs, Blue Jackets, and Penguins used the same six throughout the whole postseason though. 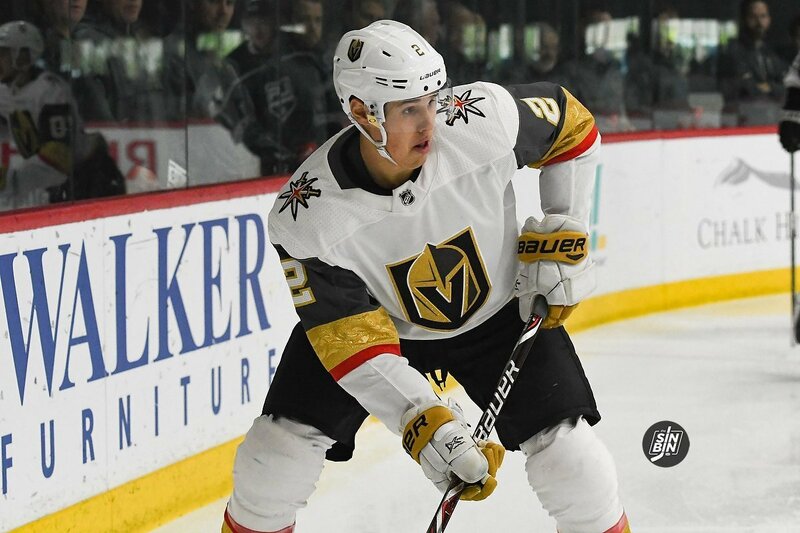 It may be unlikely that the Golden Knights actually have to end up relying on an eighth guy, but with the situation Vegas is in now, they would be well served to prepare for this scenario. By this I mean calling up one or two of these blueliners for the final five games of the season and giving them a little experience, even if it’s meaningless in the scope of the season. The thought of Hague or Bischoff playing their very first NHL game in the Western Conference Final scares the bejeezus out of me, and it should McPhee too. Not many teams have five games to burn before the real games start. It would serve two makers to get at least one of the AHL guys in there. First, it gets their feet wet in case DefCon Blueline does indeed pop up in the playoffs. A little experience goes a long way. Heck, even a bunch of practices with the NHL team wouldn’t hurt. Second, it would allow Gerard Gallant a chance to run through all seven NHL defensemen to give them a night or two off. Rocky Thompson, McPhee, and Gallant know which one of the three they think they’d trust the most if the time does indeed come, but why not get a little more intel? Personally, it doesn’t matter which one it is to me, but let me be the first to raise the flag to say this should happen, like tomorrow. The Golden Knights clinched last year on March 26th. They can actually do it sooner this year. 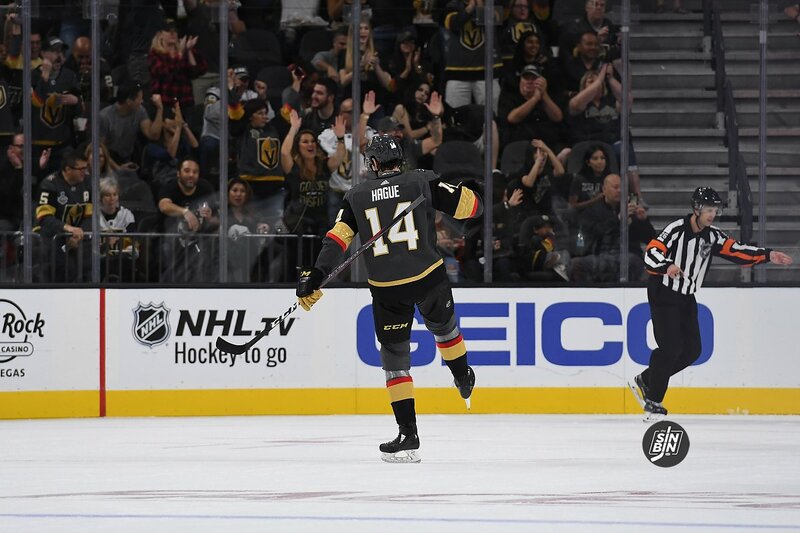 Having won 10 of the past 11 games the Golden Knights have soared well above the playoff cut line and it’s only a matter of time until it becomes official that Vegas is heading to the postseason. But, like everything in sports, nothing is a sure thing until it’s actually a sure thing. It can become a sure thing soon though, as soon as Sunday afternoon. The Golden Knights currently have 89 points with eight games left to play. The first team out of the playoff picture is Arizona with 78 points, also with eight to go. Thus, the easiest way for the Golden Knights to lock in their place is to eliminate the Coyotes. Using our “Points to Elimination” tool, it takes six points to do so (and only five VGK clinches the tiebreaker). Arizona plays at New Jersey tomorrow and at the New York Islanders on Sunday. Vegas hosts Detroit tomorrow. 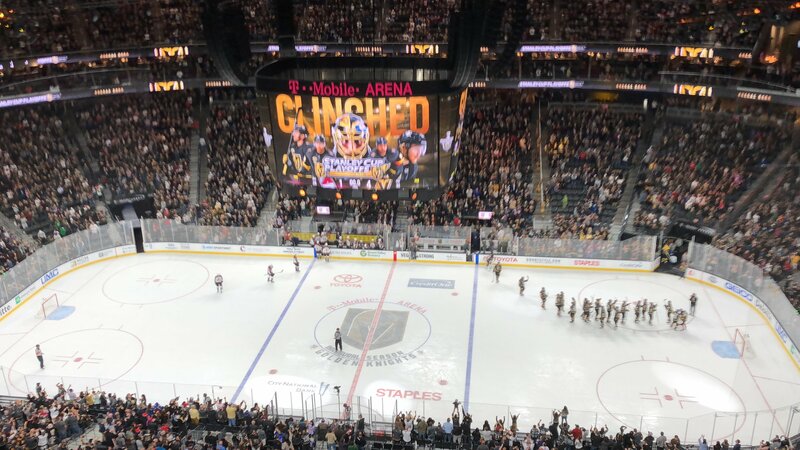 If the Golden Knights win in regulation or overtime, and Arizona records only one point in those two games, Vegas will clinch. If Arizona records two or more points, the Golden Knights still have a chance to clinch. The attention would then turn to the Minnesota Wild, Colorado Avalanche, and Chicago Blackhawks. With a Vegas win tomorrow, the Golden Knights would need just one more point to eliminate Chicago and three to eliminate Minnesota and Colorado. The Wild have a back-to-back in Washington and Carolina tonight and tomorrow while Chicago and Colorado have a home-and-home back-to-back against each other Saturday and Sunday. So, if Vegas wins tomorrow, they would need Minnesota to record one or zero points in their two games, and Chicago and Colorado would have to split (with Colorado’s loss coming in regulation). If any piece of both of those scenarios falls short, the next Golden Knights attention will turn to Monday in St. Louis. It could happen Sunday, it could not, but either way, it’s happening soon. Once that’s locked up, the focus is going to start to shift towards San Jose, who as of this article are five points ahead of Vegas with eight to go. It’s a tall task, but if the Golden Knights can knock off the Sharks again on the 30th, things could get very interesting that final week. The former first round draft pick has recorded solid numbers as a Golden Knight in limited play: 19-11 with a 2.85 Goals Allowed Average. Subban may be the backup to Marc-Andre Fleury, but he practices for an 82 game season like a starting goaltender. He’s in great shape, so 120 minutes played in two days was not much of an isssue for Subban. Beyond being a younger goaltender he has low mileage in the NHL so naturally his body is fresher than most.